The musculus deltoideus belongs to the shoulder muscles. It is involved in all motions of the shoulder joint and encloses it entirely. Internal rotation represents an effective exercise for the internal rotators of the rotator cuff of the shoulder. We can choose between different variations using free weights, the cable machine, or just our own body weight. External rotation represents an effective exercise for the external rotators of the rotator cuff of the shoulder. We can choose between many different variations using free weights, the cable machine, or just our own body weight. Shoulder raises represent an effective exercise for the trapezius muscle, especially the upper part. In some variations the deltoid muscle will be activated as well. Shoulder presses represent a very effective exercise for the front part of the deltoid muscle. 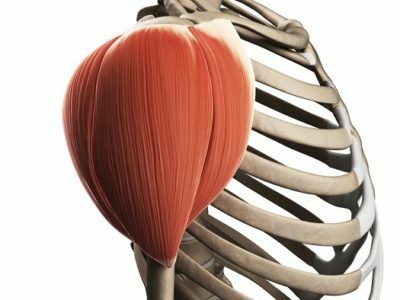 Most variations also work out the chest muscles (especially the upper part), the triceps of the arm, and the upper part of the trapezius. Flys represent an effective exercise for the chest muscles. The front part of the deltoid will be trained as well in most fly variations. 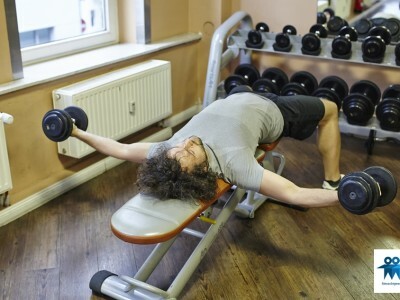 Bench press is the most popular chest exercise. It also represents a training for the triceps of the arm and the front part of the deltoid. The exercise is familiar with push-ups. Rowing represents an effective exercise for the latissimus muscle. It also works out the trapezius, the middle part of the erector spinae, and the back part of the deltoid. Rotator cuff stretches are quite important for the mobility of the shoulder joint. 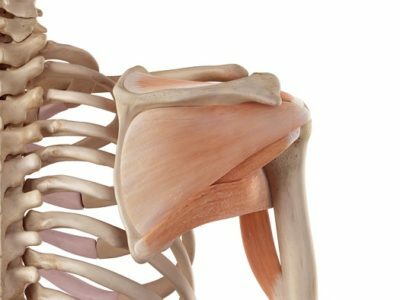 The rotator cuffs pretty often tend to shortening what makes a stretching very reasonable.